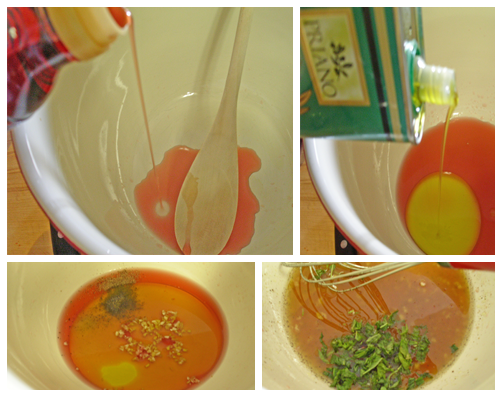 Make the vinaigrette; Mix the red wine vinegar, sugar, mustard and olive oil. 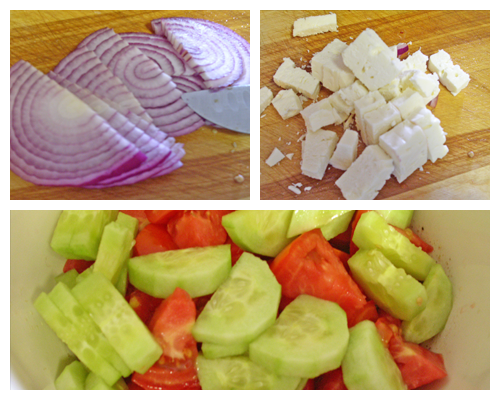 Cut up the vegetables and cheese. 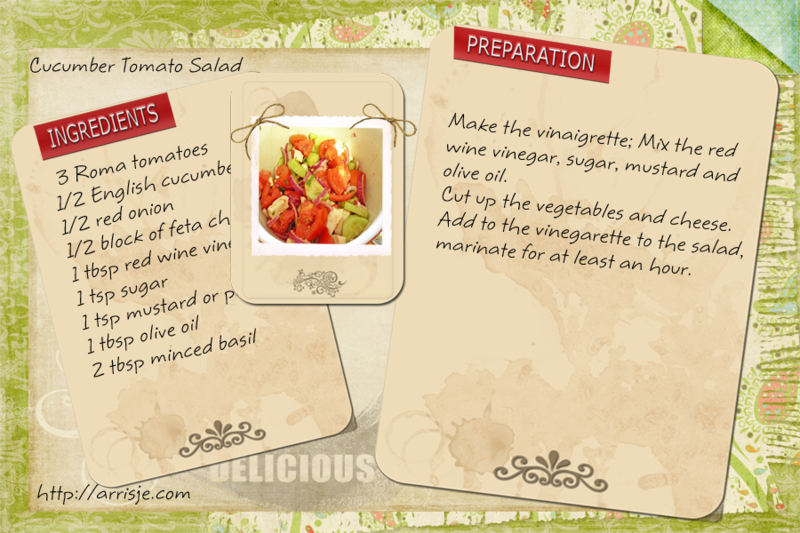 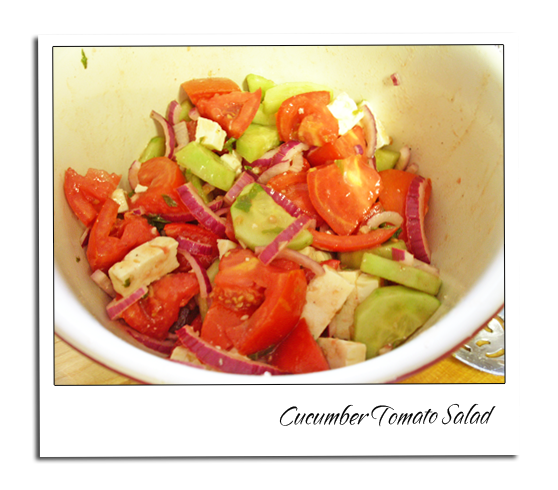 Add to the vinaigrette to the salad, marinate for at least an hour.